The Chinese Bamboo Tree is a truly amazing plant that offers 3 coaching lessons that will definitely make you better! 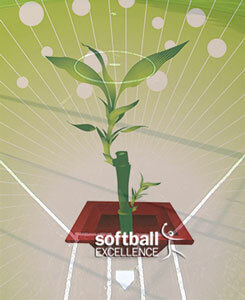 The growth of this incredible plant resembles how our players develop their skills. Read on to discover what this tree will teach you about Patience, Diligence & Belief! If you’ve never heard of this thing before don’t worry, I hadn’t either until recently, and now I love it! Here’s the story – there’s something called the Chinese Bamboo Tree that grows in the Far East. What’s remarkable about it is that it doesn’t grow like other trees. Most trees, and plants for that matter, grow at a steady rate. You feed and water them and they grow a little bit each year. You can see their progress and watch them getting bigger. But that’s where the Chinese Bamboo Tree is different. It doesn’t appear to grow for 4 years, never even appearing above the ground! And then, in the fifth year, an incredible thing happens – it breaks the surface and begins to grow at a phenomenal rate! In fact, in just 5 weeks it can grow 90 feet tall! Its growth is so incredible that it can shoot up 2 feet in 24 hours, and almost 40 inches per hour at times! Patience – If you happen to have one of these trees, you’ve got to spend a long time watering and taking care of it, without any sign of your efforts paying off. This takes massive belief and incredible patience. Now let’s equate these 4 dormant years to those of our players. Have you ever worked with a player who just wasn’t seeming to “get it”? You’re both were putting in the time and the work but just aren’t seeing any signs of improvement. Sounds a lot like the Chinese Bamboo Tree, except the main difference is, with the tree – you know it won’t do anything for 4 years so you don’t expect much, your expectations are low. But with players, our expectations are often too unrealistic and we don’t allow their skill enough below-ground time to really develop! Both the bamboo tree and your players need a long time to let their growth take root, so we must be patient. But unlike the tree, we NEVER know when our player’s skill-growth might happen, but in the meantime, we must keep watering their skills and we must stay patient! Diligence – Developing any skill is hard work, and not all the work is done by the player. For any player to grow her skill she has to continually work to develop it – but so do you as a coach. You have to diligently work with your players to grow their skills – whether those skills are actually popping up above-ground yet or not. Your work can’t be based on how tall their tree is. In fact, the less you actually see proof of any skill – or any signs of the Chinese Bamboo Tree – that’s when you need to do the most work, and do it regularly. If you stop watering your Bamboo Tree because it hasn’t started growing yet, then you’ll never see the incredible result of your hard and diligent work. It’s really, really hard to be diligent with your energy and efforts when you’re working with players whose skill hasn’t yet poked through the ground. But keep the Chinese Bamboo Tree in mind and remember that eventually, your work will pay off and growth will start that you can actually see! Belief – In order to have patience and diligence you really need to have belief! We all need to believe that our players WILL eventually get it, just like you need to believe your nowhere-to-be-seen Chinese Bamboo Tree will eventually poke through the ground. Your player’s skills are growing, even if you can’t see their progress – yet. Just like the bamboo tree, their skills are growing whether you can see the growth or not. Growth takes time – whether you’re growing a tree or a swing. It takes time for all the parts to wake up, get fed, come to life and gain progress, no matter what it is you’re growing. So, keep believing, spread belief, water your belief and surround yourself with others who believe! Confidence is another word for belief and long before we see we’re good, we have to believe we can be good! Whether you’re a coach, player or a parent, let the Chinese Bamboo Tree remind you that progress doesn’t happen right away, but that doesn’t mean it will never happen! Be patient, diligent and full of belief whenever you work with someone learning something new! Choose either our monthly or our annual plan to fit your budget! Thank you for this info. It is so timely. I’ve been working with absolute beginners 9-12 year old girls for the past 7 weeks and just over the weekend I asked them if I am expecting too much from them too soon, their answer was yes. I am seeing improvements, which I tell them but in my opinion their skills development is not developing fast enough. This could be that I usually work with boys and they start at a younger age. The lessons learned here reinforces the need for me to be more patient and continue being diligent with practice and believe that in time they will develop as they should.